Shibori is the Japanese word for tie dye techniques or resist dyeing. While you may be familiar with the “hippy” t-shirt featuring a brilliant colored starburst, Shibori tie dye techniques are frequently done in conservative blue and white. 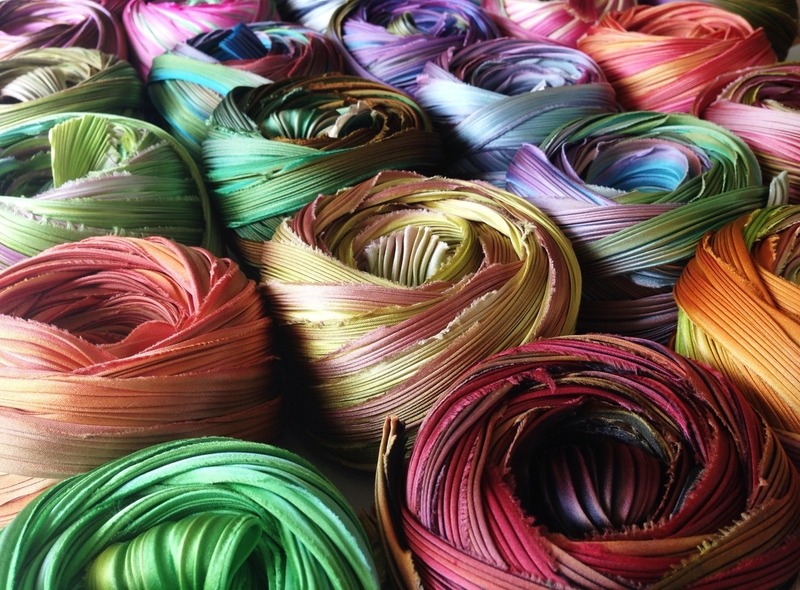 Fabric may be tied, pressed, or folded to create repeated patterns. 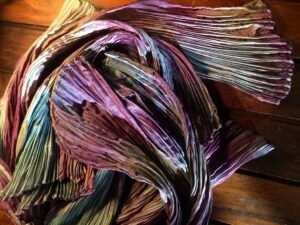 This Arashi Shibori scarf was dyed with natural dye extracts. You can see the process on my blog post How to Shibori With Natural Dyes. Shibori, or any other tie dye technique, involves submerging fabric into a dye bath with some areas bound or clamped tightly to resist penetration by the dye. Arashi Shibori, the technique used for the silk scarf pictured above, is created by binding the fabric tightly to a pole or pipe, and then scrunching it up to create slightly random pleating. Since silk has a “memory” and will hold the pleats, they can be left in for a deeply textured fabric. Or, the fabric can be ironed flat, leaving stripes of the different colors in a stunning, one-of-a-kind pattern. Other techniques involve sewing a strong thread into the fabric, and then cinching it up tightly to create wrinkles or pleats where the dye cannot penetrate. 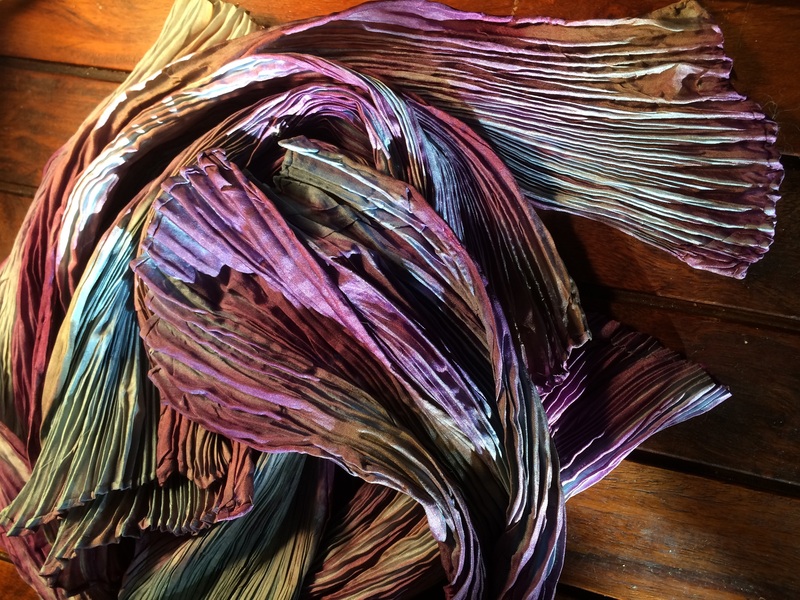 Indigo dyeing is ideal for this process. Repeated dips into an indigo dye vat will darken the shade of blue until it is almost black, making a beautiful contrast with the undyed fabric tucked behind the resist. Want to try it yourself? This beautiful book from The Woolery will show you how. Also from The Woolery, the Indigo Starter Kit will get you everything you need to create traditional blue fabric or yarn. Follow LucyEwe to get started! Click Here for a beautiful description of the arashi technique, with its pleated folds creating striped designs from The Common Fold blog. 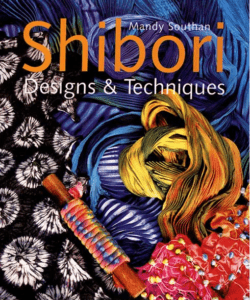 Here is a link to Shibori Girl Studios. Her photos of her Shibori work are luscious. Follow her links within the blog to be treated to extraordinary inspiration…. and she has a SHOP!